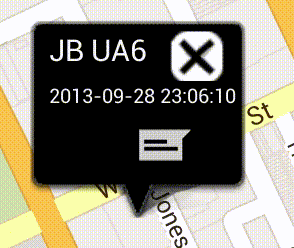 IM-Notify tracks your location information and sends out to other agents in the system. Let’s have a look at the mapping settings again and go through it one by one. Track Your Location: If it’s turned on, the app will send out your location information to other agents in the network at a specific interval governed by Update Frequency. If it’s off, no location information is sent out and you won’t be able to track yourself on the map view. Map View: You can track others agents through map view. This option lets you choose between Satellite and Normal view. Default is Normal view. Map Zoom Level: Ranges from 1 – 21 with 1 being lowest zoom level and 21 being the highest zoom level. Default is 14. 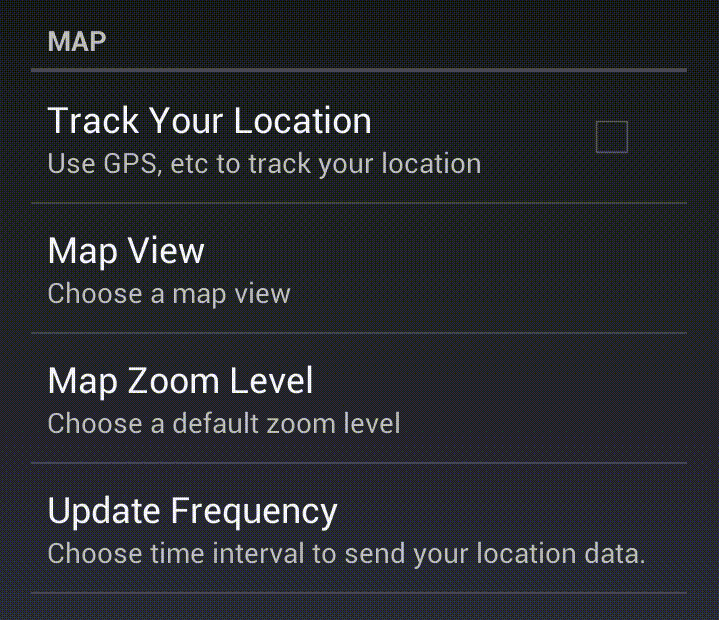 Update Frequency: The interval in seconds in which IM-Notify sends out location information. Ranges from 10 seconds – 120 seconds. Default is 60 seconds. Updating location too frequently might result in decreased battery performance of your phone. The map view tracks the location of all the agents in the system. 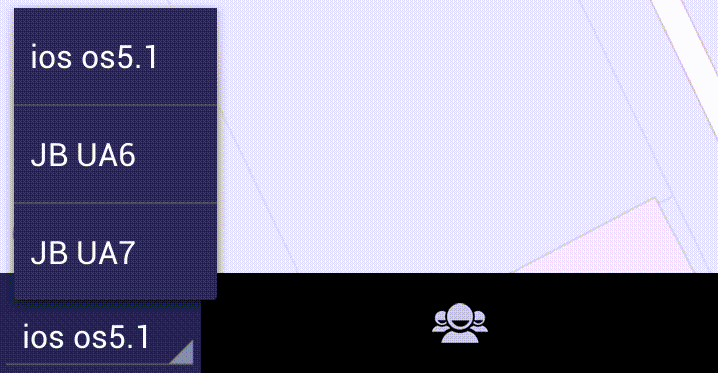 It can be accessed by tapping on the Map tab from the main interface. This view allows for tracking agents on the map. 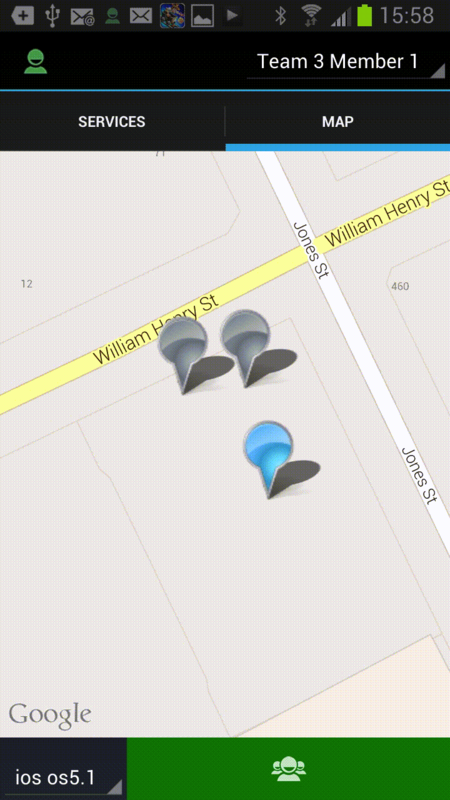 Tracking, in this case, means viewing updates on location of other agents and self. 2. Team Mode: When activated, all the agents on the map are grouped onto a broad view. 3. 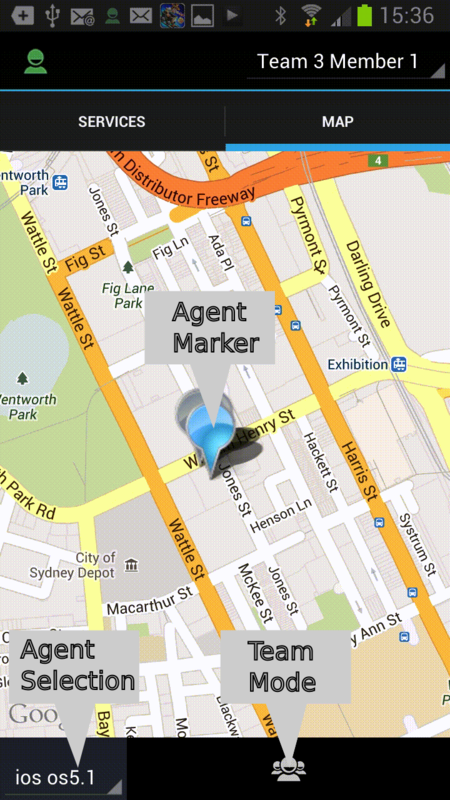 Agent Markers: You can tap on the agent markers to get more information on them. The call button on the marker window is only activated if there’s a call in progress.